Clean and private place. Very quiet. Can cook in the apartment. Nice studio in a modern building with a well-equipped kitchen and everything you need to make your stay pleasant. Friendly host! It was a bit difficult to find as house numbers were not visible on the street, the sign was quite small and the taxi driver dropped us off on the same street but on the other side. We asked someone to call the hosts and it was easy from then on. Very friendly hosts. The apartment is well equipped. Nette Unterkunft mit guter Ausstattung. Gutes Bett gutes Sofa guter Esstisch und Balkon mit Sonne (nachmittags). Kochherd und Dusche funktionieren einwandfrei. Warmes Zimmer (Reisemonat Februar) . Der Eigentümer ist gut organisiert und sehr freundlich. 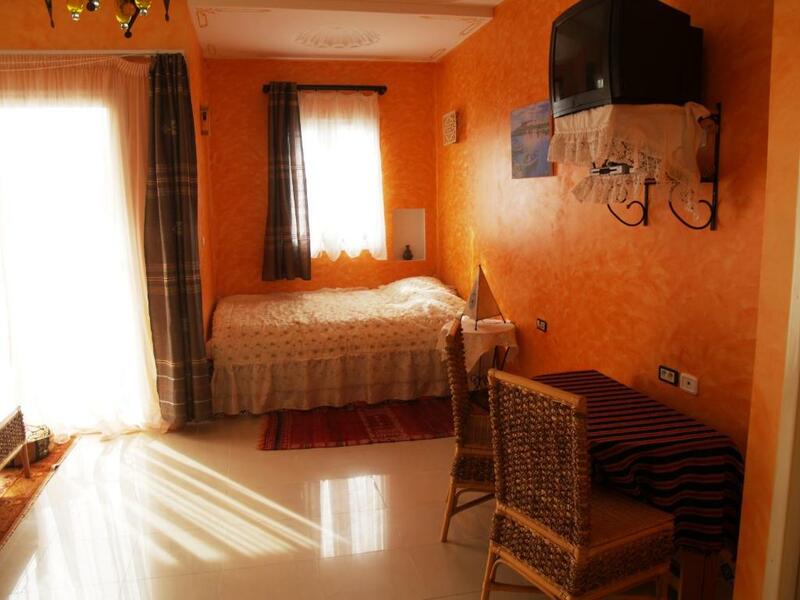 Lock in a great price for Dar El Amen Appartements – rated 8.1 by recent guests! One of our best sellers in Mahdia! 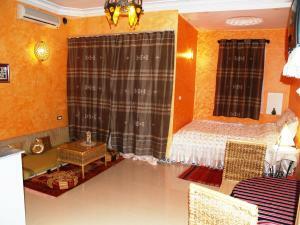 Dar El Amen is located in Mahdia, just 0.6 mi from the Medina, the beaches and the harbor. 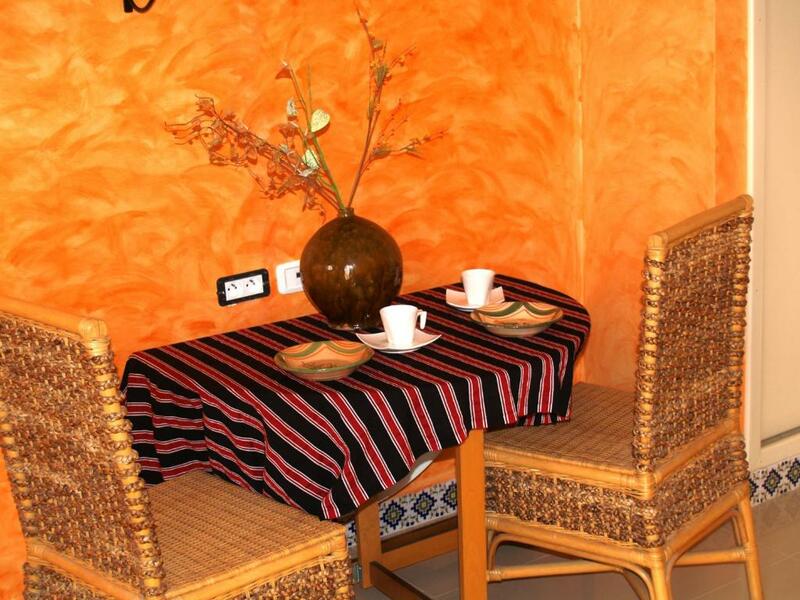 The self-catering apartments and studios feature a traditional décor. 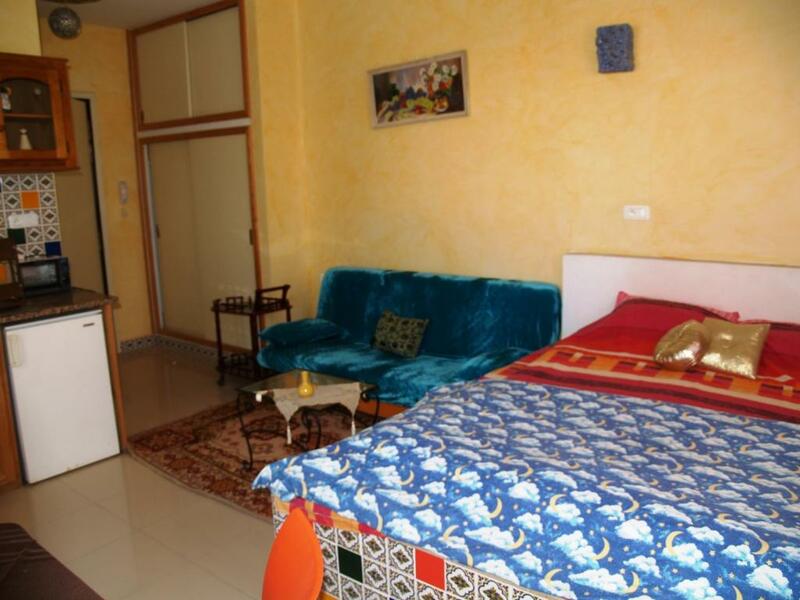 Each apartment and studio at Dar El Amen includes a lounge area and a kitchenette with a refrigerator. A private bathroom is provided and some apartments have a balcony with a garden view. 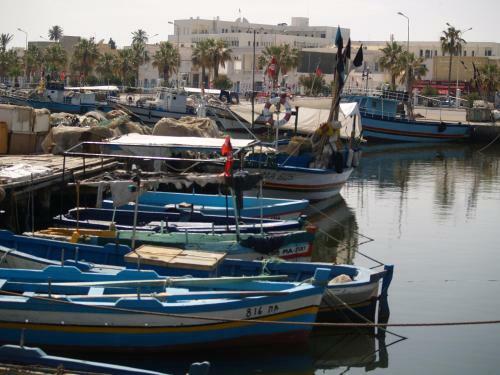 Free public parking is available on site and Mahdia Train Station is a 10-minute walk away. 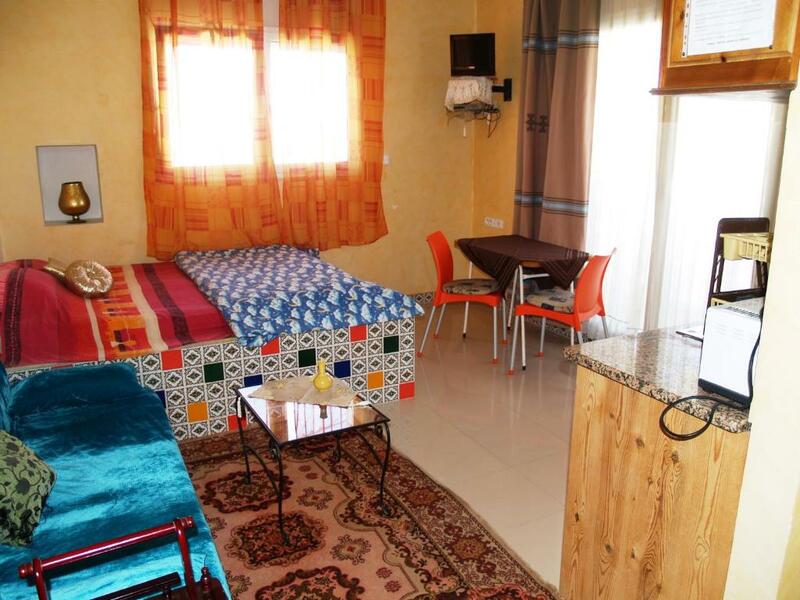 The property is 28 mi from Monastir Airport. This property is also rated for the best value in Mahdia! Guests are getting more for their money when compared to other properties in this city. When would you like to stay at Dar El Amen Appartements? 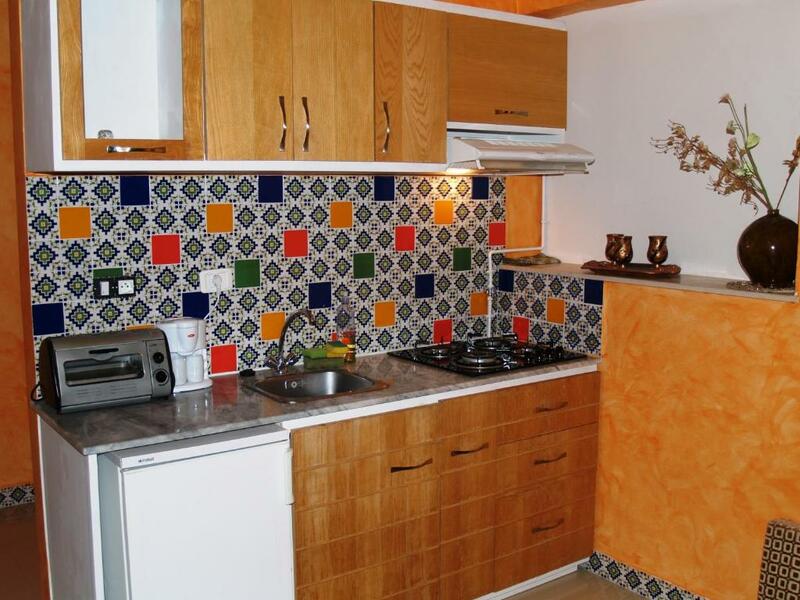 This studio features a traditional décor, a kitchenette and a balcony with a garden view. Free Wi-Fi access is available in the studio. This studio has a kitchenware, seating area and stovetop. It offers a balcony with city view. 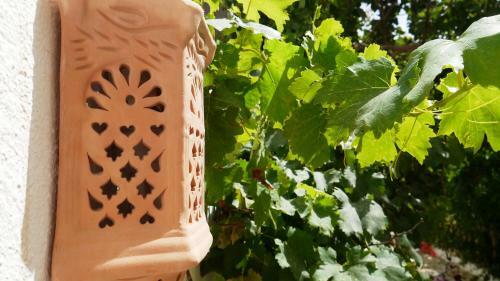 Beautiful studio, typical modern Arabic style decor, brand new, ceramic with traditional designs, first floor of villa. 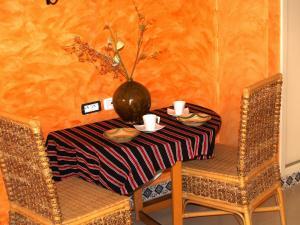 Very clean, furnished, quiet, bathroom, hot water shower, air conditioning, TV, satellite, WIFI 24/7. 5 min from the city center and 10 minutes walk from the beach. Strategic position at the center of gravity of the city. We are happy to receive client in our home from all over the world! We are very close to the sandy beach and the city as well. There are backer near by, supermarkets. Neighborhood is quit and friendly. House Rules Dar El Amen Appartements takes special requests – add in the next step! Please note that works are taking place outside the property from 9am to 5pm. During this period, guests may experience some noise or light disturbances. Please inform Dar El Amen Appartements of your expected arrival time in advance. You can use the Special Requests box when booking, or contact the property directly using the contact details in your confirmation. Need to be prepared to call the proprietor otherwise tricky to find. We did not have the phone that worked in Tunisia nor internet. The sign or some sign posts would have been super helpful. The owner wasn’t immediately there, but a quick phone call was all it took to get a hold of him.